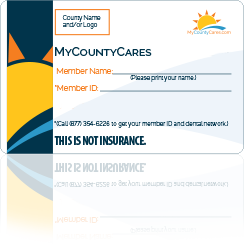 The MyCountyCares OneCard was created to help you and your family save on health care and wellness expenses. Enjoy discounts on telemedicine, vision, LASIK, imaging, hearing and more! Click the tabs below to learn more. 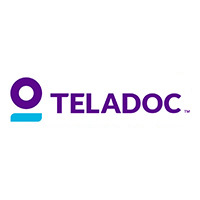 Teladoc is a national network of U.S. board-certified, NCQA certified, and state-licensed physicians who use electronic health records, telephonic consultations and online video consultations to diagnose conditions, recommend treatment and write short-term, non-DEA controlled prescriptions when medically appropriate. Physicians are available 24 hours a day, 365 days a year, allowing you and your family convenient access to quality care from home, work or on-the-go. Cost of Consultation: Free! The average consultation time is 12 minutes. On average, members receive a call back from the physician in 22 minutes. On average, Teladoc physicians resolve 91% of the calls. The remaining calls are referred to the member's PCP, a specialist, or the ER unless the member is seeking a prescription that is outside the Teladoc scope of service. ©2016 Teladoc, Inc. All rights reserved. Teladoc and the Teladoc logo are registered trademarks of Teladoc, Inc. and may not be used without written permission. Teladoc does not replace the primary care physician. Teladoc does not guarantee that a prescription will be written. Teladoc operates subject to state regulation and may not be available in certain states. Please visit www.careington.com/teladoc for a complete list of state availability. Teladoc does not prescribe DEA controlled substances, non-therapeutic drugs and certain other drugs which may be harmful because of their potential for abuse. Teladoc physicians reserve the right to deny care for potential misuse of services. Teladoc phone consultations are available 24 hours, 7 days a week while video consultations are available during the hours of 7am to 9pm, 7 days a week. Careington has owned and managed dental networks for 30 years and has recently contracted with DenteMax, another quality dental network provider, to create a "combined" national discount dental network with significant presence. This combined network is known as the Maximum Care Discount Plus Network. The Maximum Care Discount Plus Network creates one of the largest dental networks nationally with a focus on neighborhood dentists. The network combines the outstanding network management skills of two great organizations and results in discounts of 5% to 60% below the 80th percentile of Reasonable and Customary charges. Members are able to take advantage of savings offered by leaders in the dental care industry. * Regular cost is based on the national average of the 80th percentile usual and customary rates as detailed in the 2015 FairHealth Report in the Los Angeles, Orlando, Chicago and New York City metropolitan statistical areas. ** These fees represent the average of the assigned Maximum Care (DN15) fees in the Los Angeles, Orlando, Chicago and New York City metropolitan statistical areas. Exclusive Member Extras and special offers. WellVision Exam® • $50 with purchase of a complete pair of prescription glasses. • 20% off without purchase. • Once every calendar year. Retinal Screening • Guaranteed pricing with WellVision Exam, not to exceed $39. Lens Enhancements • Average savings of 20-25% on lens enhancements such as progressive, scratch-resistant, and anti-reflective coatings. Frames • 25% savings when a complete pair of prescription glasses is purchased. 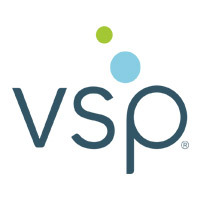 Sunglasses • 20% savings on unlimited non-prescription sunglasses from any VSP doctor within 12 months of your last WellVision Exam. Contact Lenses • 15% savings on contact lens exam (fitting and evaluation). Laser Vision Correction • Average 15% off the regular price or 5% off the promotional price; discounts only available from contracted facilities. **This cost is only available with the purchase of a complete pair of prescription glasses; otherwise you'll receive 20% off an eye exam only. ***Applies only to contact lens exam, not materials. You're responsible for 100% of the contact lens material cost. Serving you with choice, quality and savings. Members will receive savings of 40% to 50% off the overall national average cost for Traditional LASIK surgery through QualSight or receive significant savings on newer procedures like Custom Bladeless (all laser) LASIK. 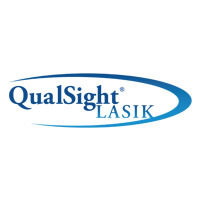 QualSight has more than 800 locations, so members can choose the provider and the LASIK procedure that meets their vision care needs. QualSight is contracted with credentialed and experienced physicians who have collectively performed over 4 million procedures. The QualSight program is not an insured program. Save 40% on diagnostic services, including hearing exams, at over 3,800 provider locations nationwide. 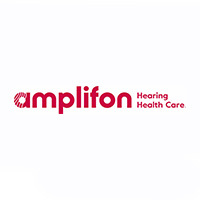 Hearing aid low price guarantee: If you should find the same product at a lower price, bring us the local quote and we'll not only match it, we'll beat it by 5%! A simple blood test is necessary for the prevention or early detection of diseases. The earlier a problem is identified, the easier and more likely it is to be treated. 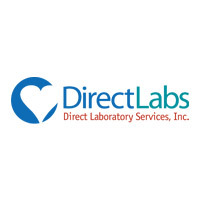 DirectLabs (DLS) is the leader in direct access laboratory testing. DLS offers a wide variety of important health and wellness blood chemistry tests at discounted prices, saving members 10% to 80% off regular retail pricing at over 3,000 certified labs nationwide*. Take charge of your health and wellness and order today! No doctor's visit required. *Not available in HI, MD, NY, NJ, RI or MA. As a member, your dedicated personal coach helps you design an easy-to-follow weight loss plan based on your nutritional needs and activity levels. Your plan involves Profile meal replacement products, healthy grocery store foods, tracking tools and ongoing support from your personal coach. A Profile Certified Coach guides you through your plan while focusing on nutrition, activity, and lifestyle. The ultimate goal is to create simple & effective changes that lead to sustainable results. As a member, you receive a one year Profile membership for just $150. You'll also receive 20% off Profile products, $30 in Profile Cash to get you started and a free Smart Scale with Wi-Fi weight tracking. Life Line Screening (LLS) is the leading international provider of community-based preventive health screenings. LLS provides affordable, convenient, high-quality screenings that are essential to the early detection of risk for stroke, heart disease, diabetes, osteoporosis and other conditions. These prevalent, serious conditions generally do not present symptoms until they are well-established and causing significant health problems. Fortunately, these conditions can be detected by quick, painless non-invasive tests utilizing ultrasound and other methods. LLS believes that preventive screenings and health promotion programs are the basic foundation to wellness and can improve an individual's quality of life while reducing overall health care costs. 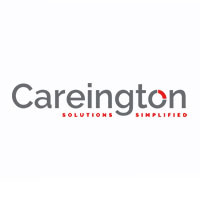 Plan Description: Careington customers may select screenings to be obtained from Life Line Screening, and the customer will be responsible for paying LLS for the screenings selected in advance of receiving said screenings. Life Line also offers self-administered tests for colon cancer and PSA, finger-stick blood tests for thyroid and liver function as well as a Disease prevention scorecard which combines biometric screening information and risk factors to predict the risk of developing any of six major chronic conditions in the next five years. The conditions are coronary heart disease, stroke, congestive heart failure, type 2 diabetes, chronic obstructive pulmonary disease and lung cancer. *None of the services are available in AK or HI, and blood screenings are not available in MD, NV or RI. 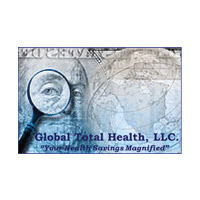 Global Total Health provides the highest quality diabetic supplies at vastly reduced prices disbursed through a highly sophisticated distribution channel. GTH is dedicated to offering the finest quality FDA-approved and CMS-approved medical products channeled through a highly efficient and effective delivery system. Additionally, GTH offers diabetes prevention/intervention by promoting healthy lifestyle changes to reduce and prevent diabetes. GTH offers all-inclusive wholesale pricing to members with no shipping or handling fees, priority mailing on all products, the world's most advanced diabetic testing meter and much more. Swanson Health Products sells vitamins and supplements, organic foods, natural skincare products, homeopathic remedies and more. 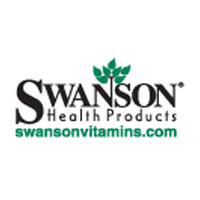 Swanson offers members a 10% discount on all products. Swanson will match the price of a product if the customer finds a lower price at another merchant. Services include flat-rate shipping, Swanson's 100% money-back guarantee, outstanding customer service available 24/7 that includes phone, email and live chat sessions, as well as in-depth articles and other expert information. Deal of the Day: Different products are listed on the website each day at specially marked-down prices. Health Library: Swanson's Health Library contains an abundance of useful information, such as a radio talk show with a doctor, full-length articles written by acclaimed doctors and natural health practitioners, videos that offer answers, healthy recipes and much more. 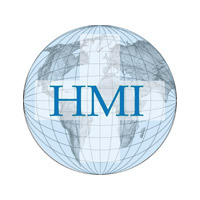 Health Matters International (HMI) focuses on providing a solution to the rising cost of prescription medications and other supplies for pets. Members can be assured they are getting safe, quality products that protect the health and well being of their pets. Ordering is easy, simply go online or call Customer Service. *Above estimates do not include cost of shipping.